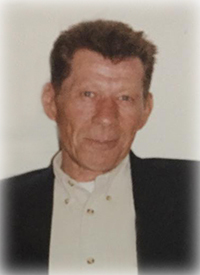 On September 8, 2018, Mr. Paul Joshua Stahl of Vilna passed away at the age of 70 years. He is survived by his 5 sisters, Barbara (Josh) Hofer, Susie (Dave) Wipf, Katie (Andy) Gross, Rachel (Don) Mason & Jessie Wipf; 3 brothers, John (Sarah), Andrew (Esther) & Kurt (Lillian); sister-in-law, Susie; brother-in-law, Paul Hofer; numerous nieces & nephews. Paul was predeceased by his parents, Joshua & Elizabeth; brothers, Joshua, Mike & Joe; sister, Mary Hofer; brother-in-law, Jake Wipf. A Funeral Service will be held on Friday, September 14 at 11:00 a.m. at Bethel Family Worship Centre, St. Paul. Reverend Duane Grant will be officiating with interment in Pine Knoll Cemetery, Vilna. To send condolences online, please visit www.gracegardensfuneralchapel.com. our deepest sympathy for the family of Carmen. Delmer, Jared, and I are so sorry to hear about the passing of Paul Stahl. We will be thinking of you all during this terribly sad time.